Considering a home improvement project this winter? In 2019 flooring manufacturers will be producing even more looks that will mimic the latest texture trends and the most sought after flooring style. Here are some key flooring options to refresh your space with a new look! Hardwood – Wood flooring is available from high quality manufacturers such as Armstrong, Bella Cera, and Anderson to name a few. Engineered hardwood is manufactured with layers of plywood-like wood. 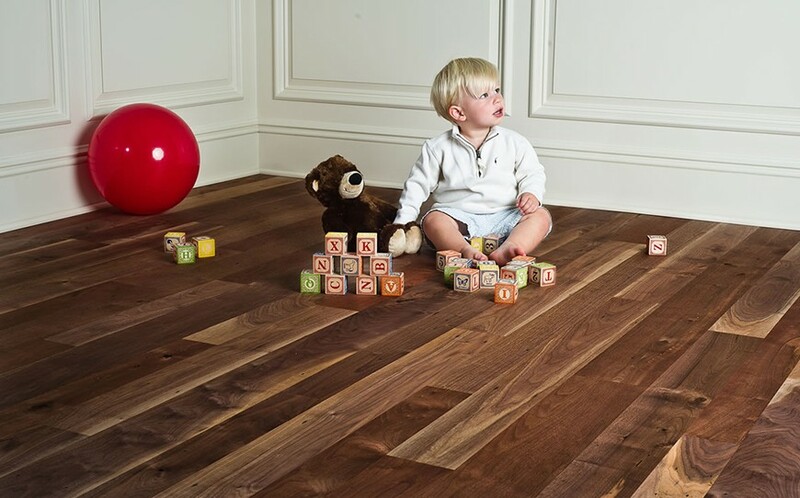 Solid wood flooring are made from traditional hardwood planks made from a single piece of wood. Tuscan Oak, White Oak, Soft Ash Wood are some key trends that are popping off of pinterest and into homes. What “wood” you like in your living space? 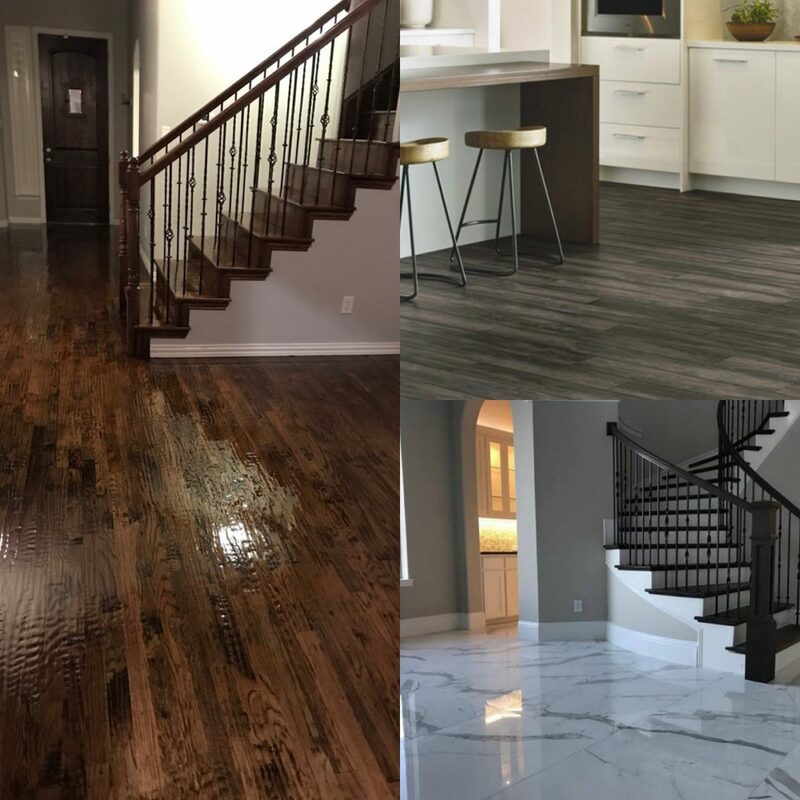 Vinyl flooring is a highly popular option and a great choice and with advanced technology vinyl manufacturers can create realistic, waterproof floors that look like hardwood, tile or stone. Luxury vinyl plank flooring can be made to look like handscraped, exotic wood species and grains. If you want comfort and durability in the high traffic areas of your home, vinyl flooring is a stunning and economical choice! If you’re looking for tile that’s softer underfoot, engineered tile is a great option. Your feet will appreciate the more comfortable feel, not to mention it’s easier to maintain and clean. Today’s many styles and design options can be a reflection of your personality and what feels comfortable and functional for your and your family. As the homeowner you can elevate the aesthetics of your home, with the upgrade of new floors – be it wood, vinyl or tile. 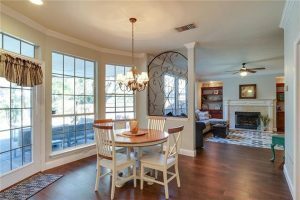 At GC Flooring Pros, we are here to help steer you in the right direction and narrow down all those beautiful flooring styles to find the perfect floor for your home, that fits any style, any budget. Tell us what you’re envisioning and let’s make your vision come alive. Call us at:214-814-1170 or click on the link here to receive a free in home consultation. Let’s create a space you’ll want to come home to! How much traffic do you expect the floor to receive? Will the floors get easily wet or dirty? How often will the floor need cleaning? Considering your lifestyle, functionality needs, design and budget, will help steer you to the best options for your flooring needs. 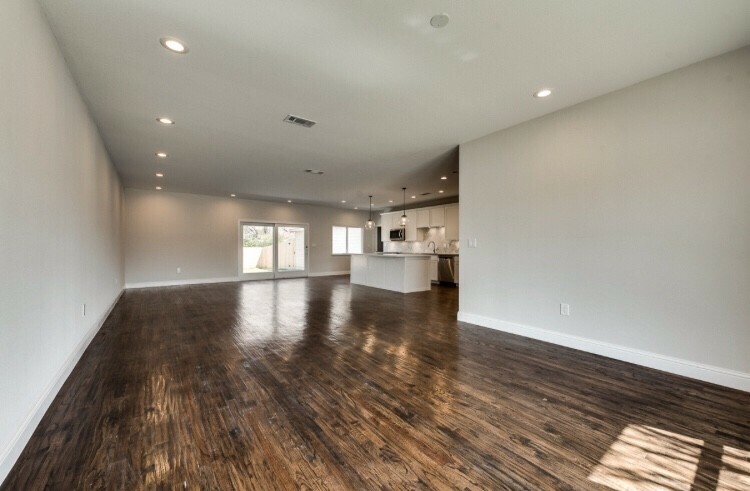 For more details, specs and ideas, call GC Flooring Pros today for a free estimate and let’s get started on your dream design for your floors! How you sleep can make you or break you. The quality of sleep affects your energy levels and sets the mood for the day. A good night’s sleep can add to your productivity and decrease stress levels. However, not many people realise that there is a direct correlation between the sleep you’re getting and the environment you are in. Having the right floor in your bedroom can help you relax just as much as a soft pair of night wear or silky sheets. Carpet has a long history of being an integral part of sleeping arrangements in different cultures. Today wall to wall carpets is one of the most popular flooring choices for bedrooms all over the world. It has many benefits other flooring choices lack. Here are the most prominent ones. No one wants to feel a cold floor under their feet on their way to the bathroom in the middle of the night or even worse, the first thing in the morning. With carpet, you won’t have to. 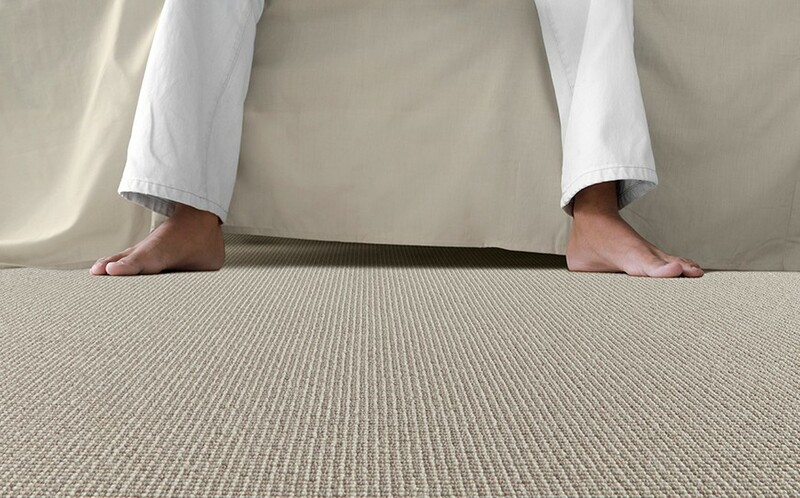 Predominantly made of fibre, natural or synthetic, carpet is the perfect choice for those who enjoy parading around barefoot or only in socks. Its soft surface will make your feet feel loved even after a long and tiring day at work. Available in every color and pattern, it will add warmth and character to your bedroom. And if you like your floors even softer than usual, that can be arranged too: the softness of carpet flooring can be easily boosted by choosing a high-quality cushion underpad. A quiet room is the best setting for uninterrupted sleep. The soft surface of carpet flooring is good for more than spontaneous bladder calls. While it keeps your toes warm and happy, it also allows you to move around the room without making much noise (and could potentially save your relationship). Wall to wall carpet absorbs sounds up to ten times better than hardwood or any other hard surfaced floor. It’s sound-dampening qualities come in especially handy if you and your family members keep different hours and the noise source is located just below the bedroom territory. By contributing to a more quiet environment, carpet floors considerably enhance the quality of sleep. Another factor that affects the quality of sleep greatly is the condition of air in the bedroom. Studies have shown that carpet floors are indeed a fitting choice for people with asthma, allergies, or other breathing problems. Unlike hard surfaced floors which let the dust and allergens flow freely, carpets trap them in the fibre and prevent them from becoming airborne and being inhaled. Slips are a big part of being human and floors. But not with this floor. Carpet being mounted to all four sides leaves little room for accidents of this nature. So feel safe while you search for the trousers half asleep in the morning haze. Carpet’s main competitor on the bedroom flooring market is hardwood. While it’s also a great flooring option for your bedroom it can make shopping for furniture a bit tricky. See, every wood type comes with a natural pattern that’s hard to match. And even if you do, you don’t really want to go over the top with wood everywhere. 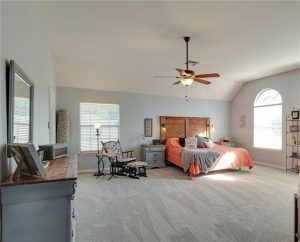 So, if you are thinking about having wooden or wood patterned furniture in your bedroom in the first place, maybe relinquish the idea of hardwood and opt for carpet flooring instead. Wall to wall carpet will create a pleasant contrast with the furniture and enrich the interior. The endless choice in the carpet department will give you the freedom to experiment with all sorts of colors and patterns to make your bedroom even cozier.